“Judge not, that you be not judged.” This may be the most quoted and most misunderstood text in the Bible. Yes, Jesus is speaking. But within a few verses he has described some people as dogs and others as pigs. And he calls his audience hypocrites. He does not appear to be saying we can never make a judgment about anyone. But many people think that’s exactly what he was saying, and especially that he meant you can never make a judgment about them. Or any person or cause they approve of. 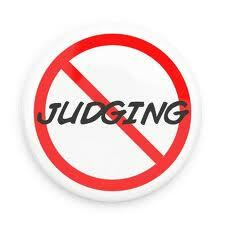 He is expecting us to make judgments, but he is concerned with how we judge, not if we should judge. Judgments will be made. Some of them will be about people. We should judge with the same spirit and standard we would apply to ourselves, however. Unfortunately, there are swine before whom we ought not throw our pearls, he says in the next paragraph. This is not quoted nearly as often, because it requires us to decide who the pigs are. This doesn’t fit as neatly into our self-protective paradigms. But sometimes it is the only way to protect those we love. I agree. Jesus was not “tolerant” in the way we use the phrase now (letting everything go and not bumping anyone’s groove) but he was perfectly loving, which sometimes meant telling people that what they were doing is wrong. His way is not only more important but also more beneficial for everyone involved.